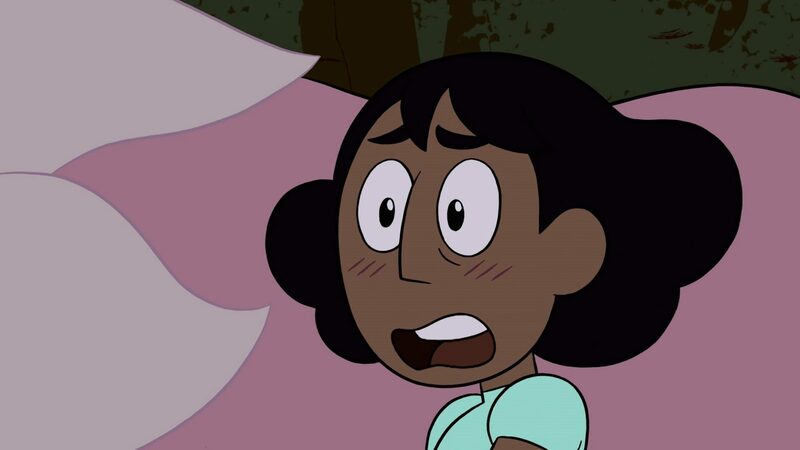 Dylan Hysen, Alex Bonilla, Hayley Nabuurs, and Steve Zec recap the last two episodes of the November 10th Steven Universe bomb, “Sadie Killer” and “Kevin Party”. The main problems with this bomb were (i) it was called a bomb and – as was mentioned – (ii) there was such a long hiatus before we had these episodes. Treated as the usual run of cooling down episodes after the set of fast moving plot ones, these were reasonably solid – there was no “Tiger Philanthropist” nor weakish sequences (I’m looking at you “Beach City Drift”, “Restaurant Wars” and “Kiki’s Pizza Delivery Service”) to drag things down. Obviously the biggest plot development was the reminder of how damaged Lapis is: she deserts the only three beings she has any emotional attachment to, leaving them to whay she clearly believes is their certain death: it’s not easy for her, but it doesn’t seem too hard either. The biggest surprise was a Kevin episode where I enjoyed the bits with Kevin in! Episode ranking: “Raising the Barn”, “Back to the Kindergarten”, “Sadie Killer”, “Kevin Party”, “Gemcation” and “Dewey Wins”, but 2-5 were more or less equal.